Mito (水戸) is the center of Ibaraki prefecture. It has the capital of Ibaraki for long time. 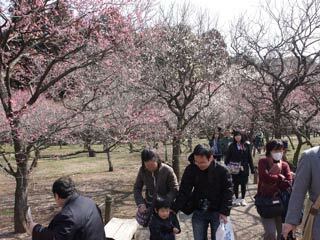 There are many historic site, especially Kairakuen Garden is chosen as the three major gardens in Japan. The Last Shogun, Tokubawa Yoshinobu, was born as the lord of Mito. Also, there are many related spot for the famous TV show, Mito-komon, in this area. Mito is also very famous for Mito Natto. Use Joban Express Way. Exit at Mitokita. 123 to Mito. Use JR Yamanote Line to Ueno Station. Use JR Joban Line to Mito Station.